Toon's Tunes : Alice Cooper at Thunder Valley: Alice rules!!! Alice Cooper at Thunder Valley: Alice rules!!! Thunder Valley Casino's summer concert series kicked off last weekend, and runs through the hot Sacramento months with shows every weekend. 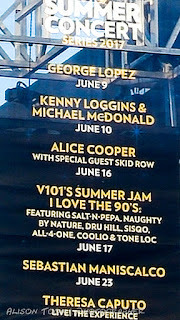 Top of my list to see was the awesome king of shock-rock, Alice Cooper, and... awesome as ever! There was Alice. There was a snake, huge and strong and gorgeous and menacing. There was a guillotine, a blade fall, and a severed head.There was an electric chair and Frankenstein's monster, huge, running around the stage, towering over the band. 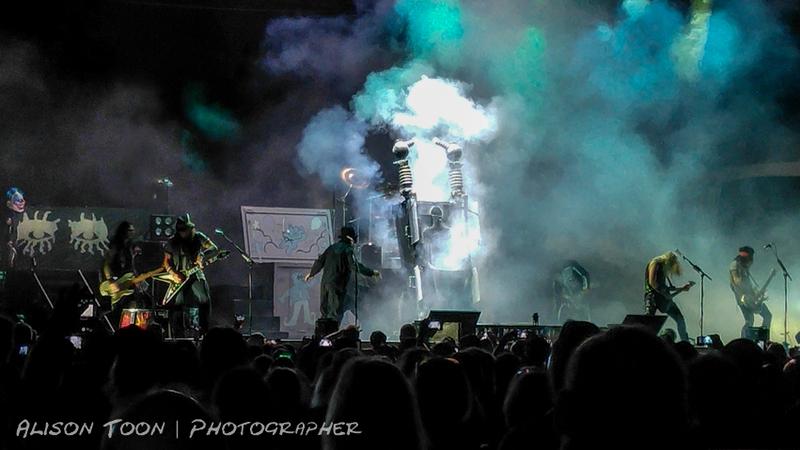 There were human-size dolls and spiders in the eyes and top hats and tails and makeup and everything you'd expect from an Alice Cooper show, though they didn't play Elected this time, darnit. There was a wonderful band, amazing guitar from the wonderful Nita Strauss, who can shred with the best: an impressive drum solo (Glen Sobel) and great rock from all the members of Alice's band. Alice Cooper is still the ultimate showman, still bouncing all over the stage; costume changes with every song, bringing the roof down (though in this venue, there was sky above). It's hard to see that Alice isn't still in his twenties... the five decades of experience just add to the draw. Remember when your parents freaked out because you were listening to Schools Out? I do! Oops. Setlist: about twenty songs total, including Billion Dollar Babies, No More Mister Nice Guy, Lost In America, Feed My Frankenstein, Only Women Bleed, I'm Eighteen, and School's Out, which morphed into Pink Floyd's Another Brick in the Wall and back to complete the show. All you have from me for this show is a few words, and a couple of cellphone photos. 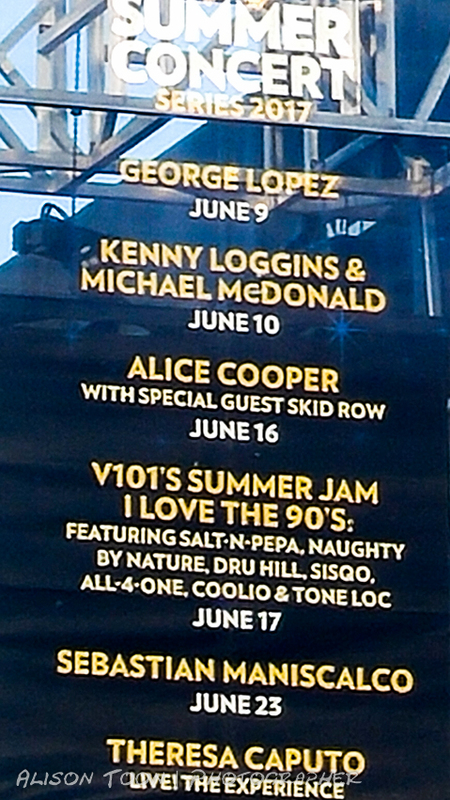 You have to go see Alice yourselves... he never stops touring. See all the dates here, including the Americas, Australia and Europe! Wow... look at that schedule. Seriously, dude... he never stops. And thank the music gods for that, because there are a huge number of performers who have learned much of their trade from Alice Cooper.